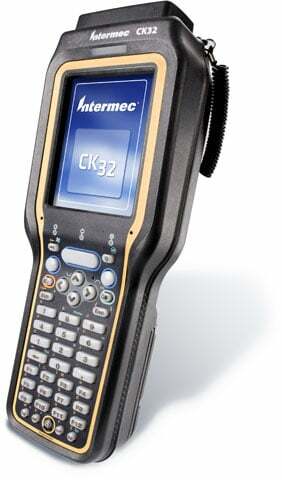 Intermec CK32IS - USB/Ethernet interface, Wi-Fi (802.11b/g ETSI), 1D Linear Imager, Windows Mobile 5.0, 128MB Ram/512MB Rom, 56 key US Programmable keypad, Bluetooth. Includes battery. Interface cables and charging cradle sold separately. CK32IS Intrinsically Safe mobile computer carries the most extensive list of global hazardous environmental ratings of any rugged mobile computer in the world - UL (Underwriter's Laboratory), ATEX (European Atmospheres Explosibles Directives) and IECEx (International Electrotechnical Commission) - making it the safest choice for workers in the chemical, oil and gas, and pharmaceutical industries. CK32IS meets or exceeds the most stringent requirements, not only for gases, vapors and liquids, but also for dusts, fibers and even, in certain regions, underground mining applications. The Intermec CK32AS011D4E1804 is also known as Intermec Technologies	INT-CK32A01	.